Professor Herbert Ma has always been the person to call on for Americans in Taiwan seeking to learn about China’s legal systems. 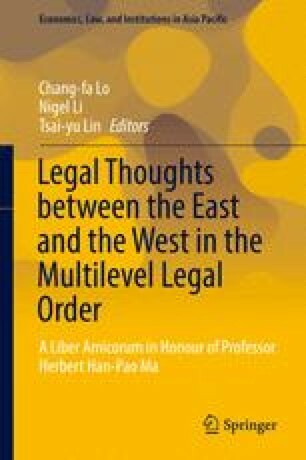 His informal and low-key manner and his knowledge and zest for the study of comparative law and jurisprudence are widely admired. Herbert is unusually good at listening as well as speaking and is tolerant of various views. He is a wise person and is appreciated for his calm and open-minded perspective. When Taiwan was still in its authoritarian years in the 1960s and 1970s, Herbert played a prominent role on the NTU law faculty, trying in his patient way to inject democratic ideals into the gradually evolving local legal system through teaching comparative law and legal philosophy to the very able students who were destined to staff Taiwan’s legislature, courts, prosecutors’ offices, judicial bureaus, law firms, and law schools and to participate in its remarkable constitutional and legal transformation. Through his teaching, scholarship, and government service, Herbert has proved to be a very positive influence in the development of democracy, the rule of law, and human rights in post-World War II Taiwan.